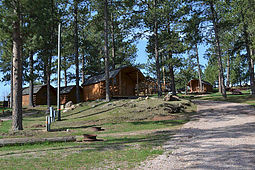 Description: We are located right in the heart of Custer country. A short distance from Mt. Rushmore, Crazy Horse Monument, Sturgis, Black Elk Mountain and much more. Our rates stay the same year round. We do not raise our prices for Holiday's or Sturgis. Campground street address: 1116 N. 5th St.